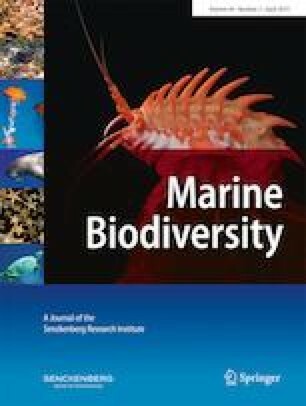 The authors thank the Save Our Seas Foundation, the Summit Foundation, the International Union for Conservation of Nature, the Rufford Foundation, the University of West Florida, Florida Institute of Technology, and the Deep-C Consortium through the Gulf of Mexico Research Initiative who provided financial support for this project. I.E.B. and R.T.G. thank the Belize Fisheries Department and the fishers and captains in Belize, especially D. Castellanos, R. Lima, E. Muschamp, M. Alamina, E. Cuevas, and D. Garbutt. R.D.G. thanks E. and A Brooks, S. Williams, D, Chapman, L, Howey-Jordan, D, Abercrombie and L. Jordan for assistance in collecting samples in the Bahamas, and J. Imhoff and C. Peterson for assistance in collecting samples from the Gulf of Mexico. T.D.E. thanks J. Eble, M. Pfleger, C. Hitchcock, and A. Koch for help with genetic analyses, M. Boudreau and C. Meyer for logistical support, and J. Kiszka for H. nakamurai tissue from La Reunion. Thanks also to J. Carlson, who oversaw the bottom longline observer program and implemented program-wide biological sampling. S.J.B.G. and M.P.E. thank the observers, C. Aguero, P. Bear, J. Combs, M. Lee and J. Patterson, and port sampler D. Fable for collecting the samples. Sixgill sharks were captured in Belize under Fisheries Permit 9-16 and in the USA under NOAA Fisheries Highly Migratory Species Division Exempted Fishing Permits and the US Federal Register (HMS-EFP-07-01, HMS-EFP-08-01, HMS-EFP-09-01, FR Doc. E9-20489).